And eat him while he’s hot! After grains were first cultivated and cooking pots made. The dumpling soon followed. Dumpling. A term of uncertain origin which first appeared in print at the beginning of the 17th century. 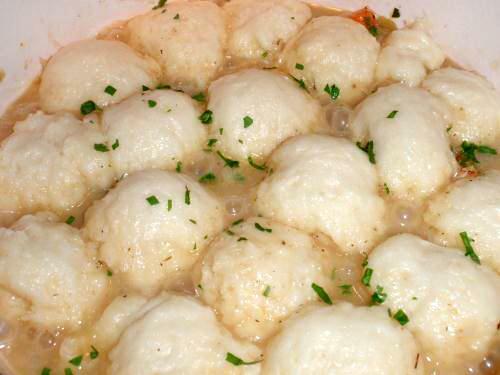 Dumplings are boiled or steamed dough both leavened and unleavened. Dumplings are eaten around the world and are filled with may ingredients. Kids learn to boil dough. 3. Drop dumplings into boiling broth, and cook until tender. Time will depend on the thickness of the dumplings and how dry they were. Slather with butter and eat. I am curious, may I ask from where you’ve gathered so many folklores? Do you have a collection in a book of sorts or is it gathered from locals? I have many old books on folklore books. Some of what I post is made up by me, what we call fakelore. As a self-proclaimed armature folklorist I do a twist on the foodways sub-genera of folklore. Foodways are stories of the cultural, and social practices relating to the consumption of food. And I writte and sell books titled Tales from the Cook. They are fantastical tales of how people are transformed by food and how food is in turn transformed by people. Thank you for expressing interest. Parvathy. Here is are a couple great resources of information. http://folklorethursday.com/ #FolkloreThursday is a place where you can post all your folklore related blog posts, quotes and other oddments.